Francis Quirk Master Painter Blog: Visit to New Hampshire's Ogontz Camp Blows Us Away!! 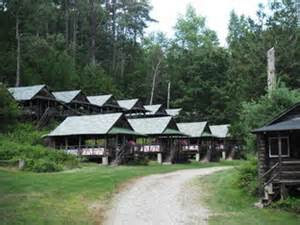 Visit to New Hampshire's Ogontz Camp Blows Us Away!! Since we had heard that many objects from Ogontz College were taken to the Ogontz Camp in 1950 when the college closed, we decided to visit the Camp to see if just maybe one of Quirk’s paintings was hanging in a lodge or barn building. Aerial view of Camp Ogantz in its glory. Note the two riding rings. It was a long drive to Lyman, New Hampshire, but it was sure worth it. 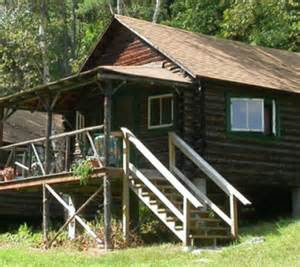 The beautiful camp is located on a small lake on 350 acres and has a unique rustic feel like none I had ever visited before. The camp now hosts various camps in the course of the Summer including a Scandinavian week, dancing week and music week. The upper campus is ringed by a series of log cabin structures that once housed the girls. They are rustic and tasteful. The lower campus contains a dining hall , workshops, a lodge on the lake for receptions and an impressive main concert hall. While that hall is not completed, it is an architectural masterpiece with massive tree trunks serving as supports and interior wood finishes. When complete it will be stunning. Sadly, at the moment they are short on funds. The ground floor is open and even with this limited access, it is impressive. The Cabin on the lake is a beautiful and wonderful location for a reception party. Around the campus there are various buildings including stables, barns , and other spaces. It looked like a child’s dream to me and I could imagine no better summer for a ten year old, than rambling about the place exploring, using ones imagination and just having fun. One of the many stables at Camp Ogantz. This one accommodated eight horses. In its prime, the Camp must have been amazing. Stalls could accommodate at least 50 horses and there used to be a riding ring, a dressage ring and at least four tennis courts. The plantings are beautiful and the gardens were in their Summer glory. A rustic stone stairway at Camp Ogantz- beautiful to look at, but a challenge to walk. While we found no paintings by Quirk, exploring the camp was tons of fun. It's appeal as a wedding location is obvious.